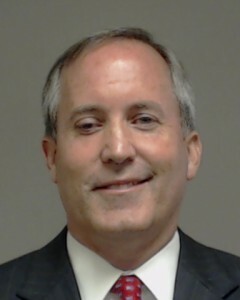 The former CEO of the technology startup named in Ken Paxton’s indictments is suing the company he founded for costs associated with the attorney general’s criminal investigation and ongoing legal battle. Mapp also claims to have shouldered costs associated with an ongoing U.S. Securities and Exchange investigation into whether the company defrauded investors when he was CEO. Mapp is asking for more than $150,000, plus damages from Servergy for expenses he already has incurred and anticipates as Paxton’s court battle continues. At the same time, a group of investors, including House State Affairs Committee Chairman Byron Cook, R-Corsicana, also sued the company for access to Servergy’s books and records. Both suits ultimately were dropped after the documents were produced, but Mapp’s lawsuit suggests the SEC investigation is ongoing. See here, here, and here for more on Servergy and William Mapp, who testified during the grand jury proceedings but has some potential credibility issues. His lawsuit was filed in Nevada, as that is where Servergy is incorporated, though its corporate office is here. I have no idea what if any effect this will have on the criminal case against Paxton – the possibility that the SEC is still investigating Servergy is intriguing but not necessarily relevant – I just thought it was worth noting.